Baby Heroes combines the elements of resource management, strategy and action, as you assemble a team of baby heroes to save several cities. 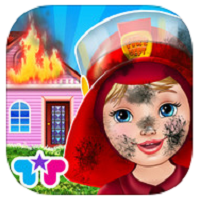 Created by TabTale, you’ll have to save six cities in different locations with babies in six professions, cleaner, electrician, gardener, builder and fireman. It’s different, and a whole lot of fun. You use the six super babies depending on what the situation calls for, and to help find the area that needs assistance, there’s a map provided. You just need to go over the map and find the city. It’s not an easy job but your heroic babies have a lot of tools at their disposal, over 30 as a matter of fact, and it’s a lot of fun putting them to use throughout the game. 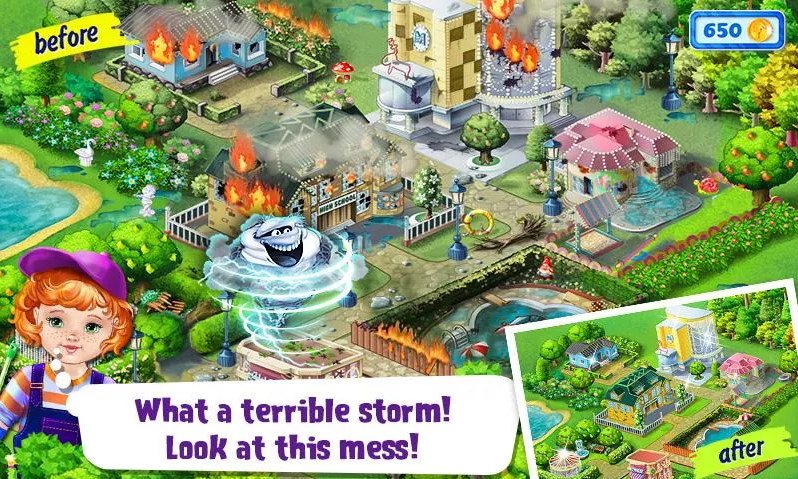 The basic premise in the Baby Heroes is that a storm has damaged the city and it’s almost completely decimated, so now it’s up to the babies to go out there and put things right. The challenge here is to find the right baby for the job, so you need to pay close attention to what’s happening in each city. While there are a lot of things taking place in Baby Heroes, what it all comes down to going around the city and fix whatever needs fixing, like the school or pool. To get the job done though you’ll need to use all the babies and have them work as a team. The more you are able to clean up the more coins you’ll earn and advance, making it an addictive game.